The Kaiser Woodland School Foundation is hosting the Summer Camp Fair as part of the We LOVE STEM Week. Come join the fun in the Kaiser Elementary MPR! KWSF welcomes a broad variety of Orange County camps – from science to art, from sports to technology. Twenty camps will be showcasing their upcoming camps with exhibits and information about their program. The camp experience provides your child with fun, even as it prepares them for a bright future. Every adult attendee will receive one entry into the raffle for a free week of camp, with more raffle tickets available for purchase. BrainStorm educational programs are focused on creating the next generation of innovators and thinkers by allowing kids to explore the wonders of STEM (Science, Technology, Engineering and Math). From robotics to coding, students are immersed in a stimulating, hands-on learning environment, engaging their minds so they are ready for tomorrow’s challenge. BrainStorm will be offering 2019 Summer Camps through the City of Newport Beach. Orange County Tradition for 27 years and located near the scenic Back Bay at Newport Dunes in Newport Beach. Awarded “Best Day Camp” in 2013 by ParentingOC Magazine. Offering campers, ages 4-17, adventures and happy memories: archery, Stand-up-paddleboards, STEM, watersports, zip line, drama, climbing wall, inflatable water park, mini-golf, laser-tag, dance, karate, fishing, crafts. Children love our caring award-winning staff, theme weeks, variety of activities, and crazy special events. Parents love our flexible scheduling, outstanding reputation, extended hours, and our ACA accreditation. Camp starts June 23 and ends August 29, 2014. Go to www.campjames.com or call (949)729-1098 for more info. Located in the San Jacinto Mountains, Camp Scherman has been a special place for Orange County’s Girl Scouts for over 50 years. Under the soaring Jeffrey Pines, girls take on new challenges, collaborate with others, become self-reliant, and develop leadership skills. Whether she’s hiking the Pacific Crest Trail, swimming, kayaking, or enjoying extras like art, outdoor cooking, horseback riding and STEM, there are endless possibilities for her to connect with nature and discover the greatness within herself. Plan her summer adventure at girlscoutsoc.org/campinfo. TheCity of Costa Mesa runs several day camps during all NMUSD breaks. Summer Camp Costa Mesa runs for nine weeks at Estancia Park for children entering 1st through 6th grade. Recreation on Campus for Kids (ROCKS) free summer programs is offered for nine weeks (June 25 through Aug. 24), Monday – Friday from 11a.m. to 4 p.m. at the Balearic Community Center* (BCC), Downtown Recreation Center (DRC) and Sonora School for children grades 1st – 6th. What do Missions to Mars, Superheroes, Code Constructors and Monkey Business all have in common? 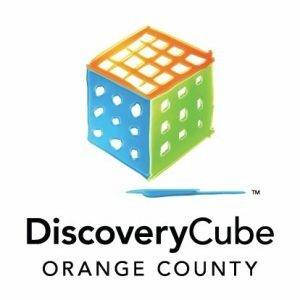 They are camps available to your child this summer at the DiscoveryCube of Orange County. Several levels of day camp, from grades K-8, are available. Find out more at https://oc.discoverycube.org/summer-camps/. We are Newport Beach’s most popular surf school, established in 1963! Our professional surf instructors will teach kids and adults of all levels how to surf or improve their surfing, in a fun and very safe environment. Your time with us is spent in the water, gaining skills and confidence. 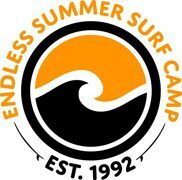 Surf with us all morning in our Endless Sun Surf Morning Camp, and stay all day to hone in on your surfing and ocean skills. After our morning break, campers will surf again, bodysurf, boogie-board, participate in “yoga for surfers”, ecology walks, beach clean-ups and junior-lifeguard inspired actives, throughout the week. June 17-Aug 30, Newport Pier. 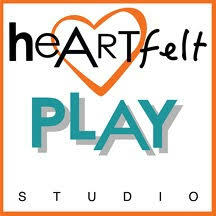 8-10:30am, Ages 5 & up or 8am – 3pm, Ages 5-17 (Mon-Fri). Fashion Camp is a creative learning space that focuses on fashion design and sewing. This is our 9th year offering Sewing Camps to design enthusiasts, future fashion designers and those looking for a unique hands-on camp experience. Our Junior Camp is ideal for the littlest designers (entering 2nd grade in the fall), and our popular Sewing Camp is perfect for ages 8-15. We offer morning, afternoon, full-day and single-day camp options. Fashion Camp is located at The District in Tustin, just 7 miles from Kaiser/Woodland! Plus, we offer 6 weeks of camps throughout the summer through the City of Newport Beach. At Galileo, we mix day camp fun with hands-on projects in fields from science and engineering to the visual and culinary arts. Supported by the best staff around, kids grow from Camp Galileo (pre-K – 5th grades) through Galileo Summer Quest (entering 5th – 8th grades), emerging as confident creators ready to turn their ideas into reality. Sign up by February 28th to save $25 per week. 80+ locations in the Bay Area, SoCal and Chicagoland. Optional extended care and healthy lunch. Weeklong summer camps to help your child recognize and appreciate their own creative process. Also offers customized private events for both kids and adults. Your child will learn how to improve their hitting, pitching, fielding, and baserunning from one of Orange Counties most reputable high school baseball coaches, Newport Harbor baseball varsity coach Ariel Guitron. For kids ages 5-12. Several types of camps are offered. Chemistry Lab: Experiment with some chemistry! Learn about exothermic reactions, create crystals, make and take home slime, make things explode and much more! Secret Agent Lab: Use the science of detection to analyze crime scene, take home your own finger printing set and many more Mad Science branded toys to keep investigating at home! Robotics Lab: Experiment with sound sensing, line tracking, and other robots. Build your very own Robot to take home! Rocketry Lab: Build and launch bottle rockets, bog-roll-rockets, Mad Science model rocket and more! Little Scientist’s Preschool Lab: Learn and play with colors, lights, and sounds. Explore the world of bugs, dinosaurs and other animals. NAC has camps for all ages and desired water sport. At our Kids Paddle Camp, kids will be able to explore the Back Bay while learning the basics of water safety, kayaking, outrigger paddling, and stand up paddling. Whether your child enjoys the beach, crafts or a weekly excursion, Camp Newport promises a memorable summer with new friends and exciting activities! Water skills and wacky camp competitions await! 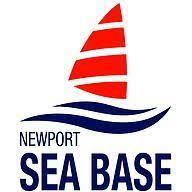 Newport Sea Base offers all-day boating adventures, paddle sport opportunities or STEM-based aquatic fun. Camp prizes awarded daily! Girl Scout camp is a special place where every girl can practice independence, make friends, learn new skills, problem solve, and have fun in an all-girl environment! Our life-changing camp experiences are open to ALL girls entering 1st–12th grades. Pateadores Soccer Training is designed to develop young players’ technical ability as well as their passion for the game. Training young players should always have a ratio of 1 ball for no more than 2 players. Training young players should never have waiting in line and should have every player exhausted after training with a desire to come back again and again. This camp will introduce players to a variety of skills that will help them improve no matter what experience level. Designed for players 4-13 years old. Project Scientist has a fun-filled program for your daughter this summer. Over the course of six weeks, girls ages 4-12 will participate in fun-filled experiments, exciting field trips to top science and technology companies, and interactive seminars with STEM Superstars — women thriving in the STEM field. Project Scientist’s credentialed teachers provide girls high-quality STEM education every day by delving into each subject with hands-on activities and experiments. This summer, girls will learn many exciting topics, including the science of crime, robotics, dissection, DNA, transportation, and more. Give your daughter a summer filled with enriching curriculum, hands-on learning, and an opportunity to make new friends with like-minded girls. Learn more about Project Scientist’s programs at www.projectscientist.org. Save 10% with code KWSF10! 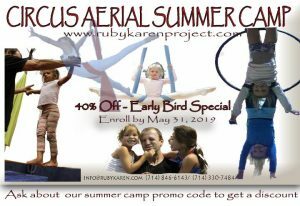 Southern California’s premier and the first aerial circus school in Orange County, the Ruby Karen Project / Orange County Aerial Arts (RKP/OCAA), is an aerial circus performing arts school for Kids, Youth, Adults and Seniors. In January 2009, the school started recreational classes as well as academic training up to professional levels, with yearly placement. This is not your traditional summer camp. We will challenge young students to use traditional and modern tools to work through projects and make things they never thought they could. Each day the kids will use real tools on real projects making plenty of saw dust and metal chips along the way. No wimpy projects here as we instill confidence and critical thinking into all of our students! Looking for a camp with arts-and-crafts, recreation, cooking, swimming and more? We offer field trips on Mondays half day and Thursdays all day. Thursday field trips coincide with the 3 day camp and follow the theme of the week. Camp is for kids entering 1-6 grade. A $50 deposit is required at the time of registration for each week registered. The deposit is applied to the week’s tuition. Signups begin Wednesday, March 13 at 10:00 a.m. in Room 217. No online registration. Summer Camp at the YMCA is a fun, action-packed adventure filled with community outreach, sports, outdoor activities, field trips, specialty clubs and more. For as little as $1 per day you can ensure our outstanding `at Woodland and Kaiser Elementary thrives. This supplementary instruction is privately funded, and without your support it won’t exist. We offer many opportunities to work with Corporations and Foundations. We need your commitment to fully embrace STEM at Kaiser Woodland Schools. Click on the button and start helping everytime you buy.